When you have pets at home like us, it is very common to become noseblind, to the lingering odor they leave behind. We have two dogs, two cats, and we often foster rescues until they are ready to be adopted. The problem of becoming noseblind, is that you always have the doubt in the back of your mind that your house smells funny. I don't know about you but I panic when I know someone is coming over to visit. I clean the house from top to bottom, but I'm never fully satisfied because I always worry about odor infestation, in other words, what your guests overwhelmingly smell as soon as they walk in the door. Let's be real, we all know that person that can track scents like bloodhound. They can follow the scent trail and no matter how well you clean they can always find it. 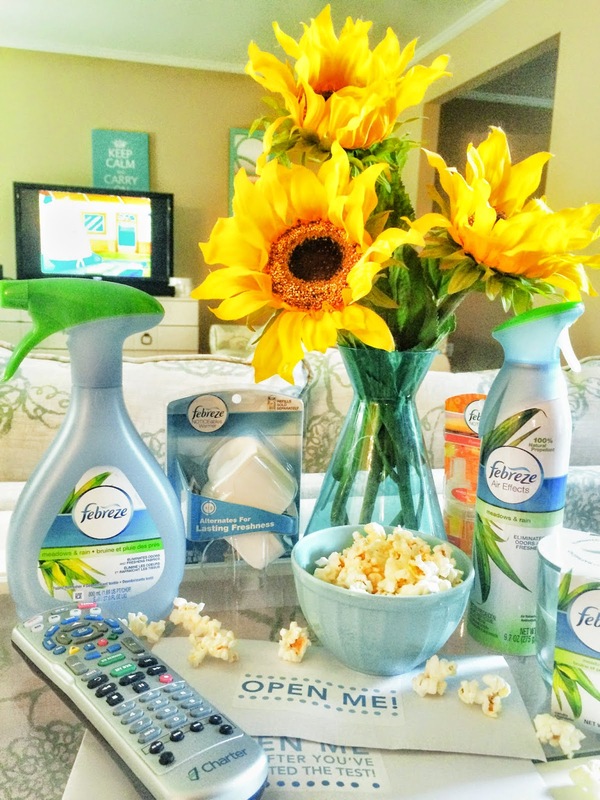 Our friends at Febreze invited us to have a movie night and do a noseblind test to see if we have develop “Odor Habituation” which is a re-programming of your brain’s process to all but ignore a smell. I just couldn't say no to be part of this experiment, because papa bird has always complained, that we are never able to notice lingering odors. Since he is the bloodhound of the family, and the kids and me are apparently noseblind, he was the one who conducted the survey/noseblind experiment. Basically we took a quick survey, then made some popcorn, and took a second survey online, watched a movie downstairs with the kids, and when the movie ended we took one last survey. We were asked things like what is the predominant odor in our house, and to rate the strength. I have to say that after making the popcorn, papa bird turned on a febreze candle behind our back and the smell coming from the candle completely predominated not just downstairs but all the way to the second floor. This is why I love Febreze so much! It eliminate odors, as opposed to simply masking them, which doesn't get to the root of the problem. A new global survey from Atomik Research concluded that home odor is very important to both residents and guests. To the embarrassment of hosts worldwide, guests have a keen ability to detect any stink: nearly half of those surveyed (48%) said that they could make out someone’s home simply by the odor alone. Furthermore, residents are often immune to the scent of their own homes; one third (30%) said that they don’t think their own home has a specific signature scent, and nearly a quarter (24%) admitted that having a sour-smelling home would be the single most embarrassing thing to hear about their home. 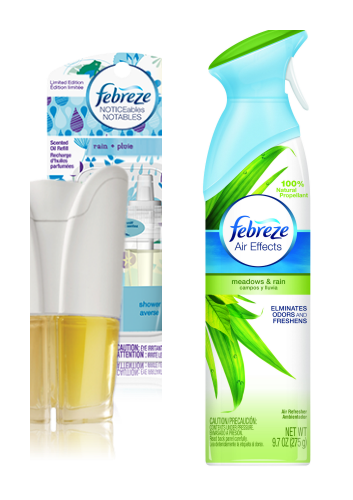 Febreze® contains proprietary mal-odor elimination technologies, including cyclodextrin, the patented molecule that gives Febreze the ability to eliminate odors and replace them with a pleasant scent. Febreze also contains pH neutralizers that adjust the pH balance and structure of pungent odors. Now what was the result of the noseblind test, you may ask? We were GUILTY of noseblindness. We are immune to the scent of our home. Thank goodness we have Febreze because let's be real, there are things we just can't control. So instead of letting bad odors ruin your day, just get over it, embrace it and Febreze it! 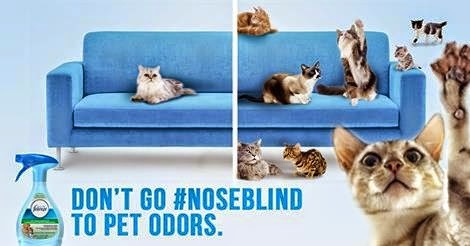 For more information about noseblindness and to view the Febreze video featuring Jane Lynch, please visit noseblind.com. You can also connect with Febreze on Facebook and Twitter.